The National Day is around the corner, and everyone will back home or go out for travelling. As usual, we will have a holiday from October 1st, 2018 to October 3rd, 2018. And we will back to work on October 4th, 2018. Therefore, please go ahead or postpone your orders if you have any plans for fabrication. During the holiday, please feel free to contact us at +86-755-2909-1601, or sales@bestpcbs.com with any questions. We wish you and your family have a wonderful holiday and we thank you for your continued supporting. Best, always be your best choice of PCB in China. Nowadays, vehicles have become the next hotspot for mobile device manufacturers. Google and Apple have already released their own vehicle intelligence system. The Internet of Vehicles makes the cars get smarter and safer. At the same moment, connecting people to the car by big data transmission, then the real-time traffic, distance diagnosis and so on can be realized. Huawei will cover all of these fields in the future. Since 2011, Huawei has begun to increase the investment in the field of Internet of Vehicles. Besides, it also released vehicle mobile hotspot, automotive online diagnostic system as well as 3G and 4G communication modules at the Mobile World Congress of Barcelona in 2013. What’s more, Huawei undertaking the eCall emergency project from some domestic Internet of Vehicles organizations. In 2015, Huawei announced that cooperated with Volkswagen and would accelerate the “Internet of Vehicles” program together. All objects involved in the IoT (Internet of things), which require interaction and intelligent judgment function, demand a large number of sensors. More than 100 sensors, including inertial sensors, pressure sensors, temperature sensors, and position sensors, have been installed in the recently launched advanced vehicles to achieve optimal control performance with highly electronic control, and to improve the safety, convenience and comfort of drivers. As we all know, it is necessary to widely apply the ceramic PCBs if the domestic sensor industry wants to keep continuous progress. 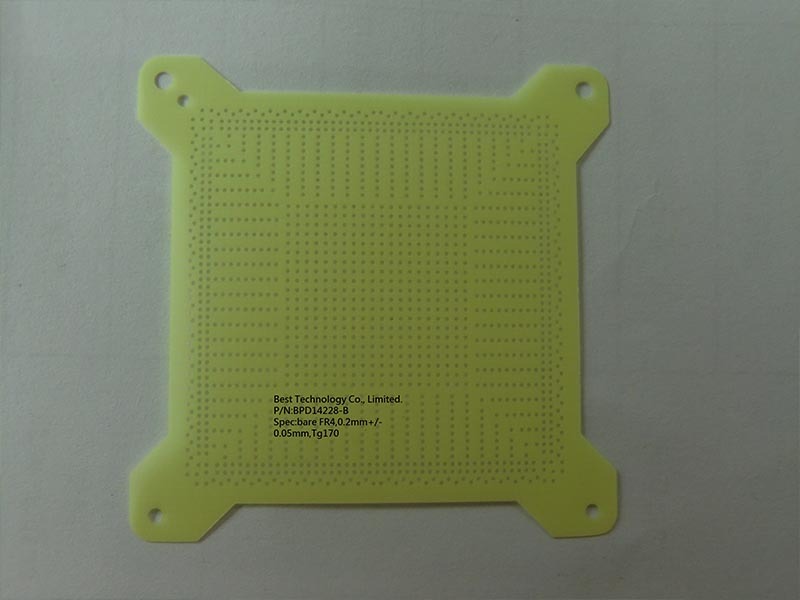 The ceramic PCBs has the advantages of being thermally efficient, excellently insulation performance and highly temperature resistance. So Best Technology always be your nice choice of Ceramic PCB, to be customers’ best partner of Thick Film Ceramic Board or Thin Film Ceramic Board in China. 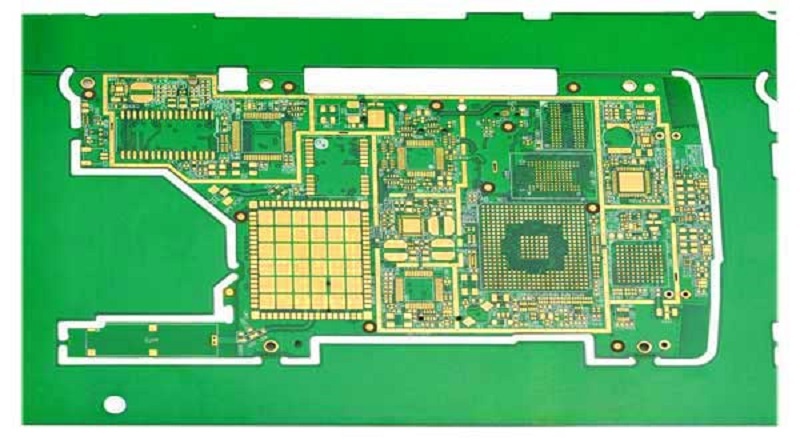 As the basic material of the digital products, PCB possesses a vast market. It can be applied to a variety of industries, including communications, computers, digital products and automobiles. Communications and computers account for the largest part. It is reported that 5G RF (radio frequency) will introduce Massive MIMO technology that requires communication with a wider spectrum and wider bandwidth in the millimeter wave band. Compared with the number of million-level base stations in the 4G era, the development of millimeter waves will promote the scale of base stations to exceed tens of millions in the 5G era. It can be predicted that the full commercialization of 5G will push the construction and upgrading of the communication base stations. 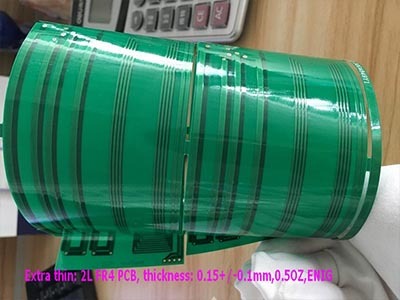 As a result, there will be a huge demand for high-frequency and high-speed PCB, and the PCB will meet the needs of a new round of upgrading and replacement. 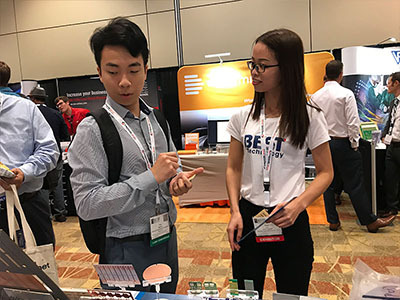 Best Technology attended the exhibition–PCB West 2018 on September 12, 2018 (American Time). The exhibition has lasted for one single day. During the exhibition, there were a variety of engineers and purchasers come to visit, and most of them are interested in our printed circuit board, especially in the ceramic PCB and FR4 PCB. Our salesman would explain the details about the capability to manufacturing, advantages and the distinctive features of the products when they saw the samples. The customers wanted to know more about our company and factory after they saw the samples of PCB. 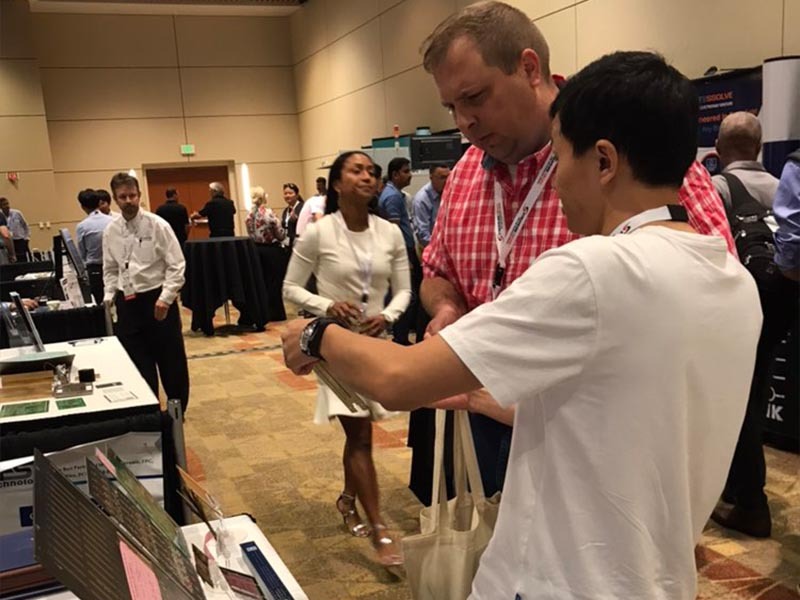 As shown in the picture, the customer was negotiating with our founder Peter, hoping to build business relationship with Best Technology. The customer had a pleasant talk with Peter and was satisfied with our one-stop service of PCB & PCBA. It has laid the foundation for the further cooperation. Since established in 2006, Best Technology has gone through 12 years. During the 12 years, we grow up from a little baby to a strong man. And we are always dedicated to provide customers with the most suitable products and the most satisfactory services. In order to seize the chance and expand the foreign market, Best Technology made a big step in 2018. 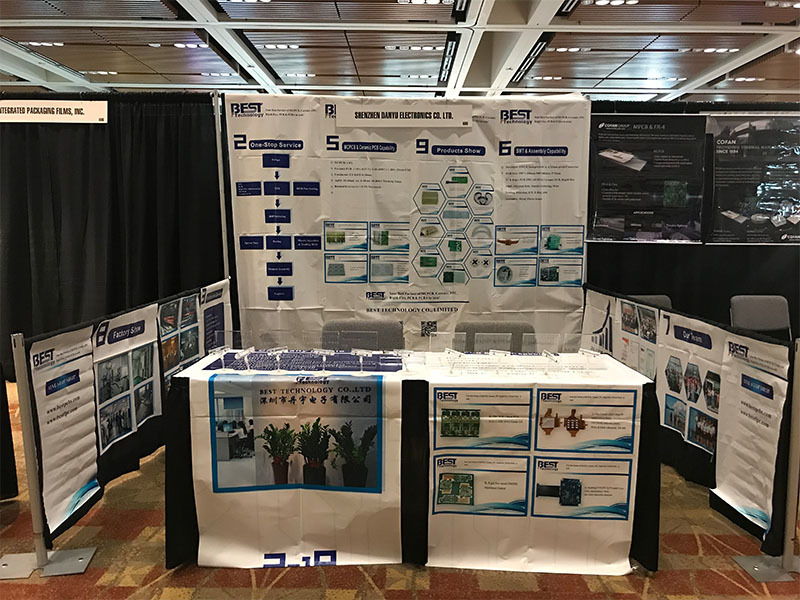 This time we arrived at Santa Clara Convention Center in America with all kinds of PCB samples for the exhibition–PCB West 2018. 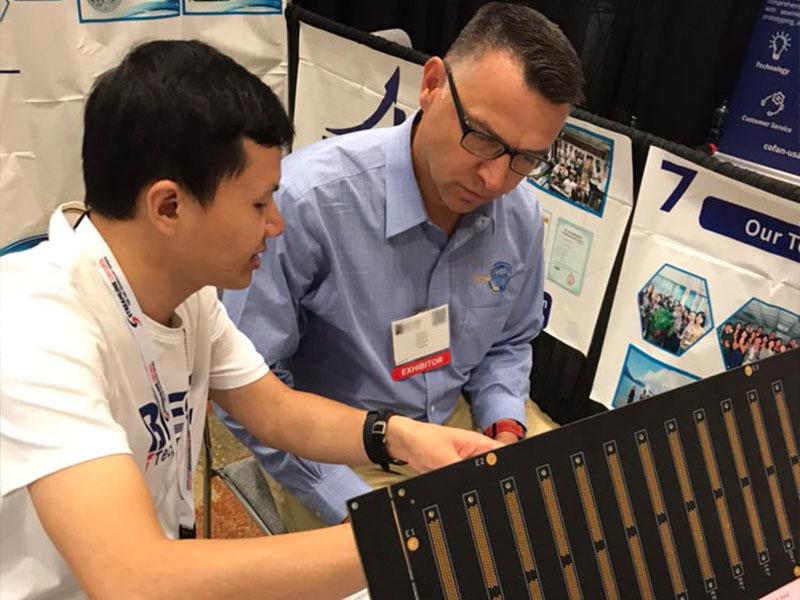 The exhibition will begin on September 12th of American Time, which is the first time that our company has exhibited in the United States. The Santa Clara Convention Center belongs to the Silicon Valley Center of the United States, so there will be a lot of engineers and purchaser come to visit. By the way, our booth number is 608, and we sincerely invite you come to visit. Best always be your best choice of PCB and PCBA in China. 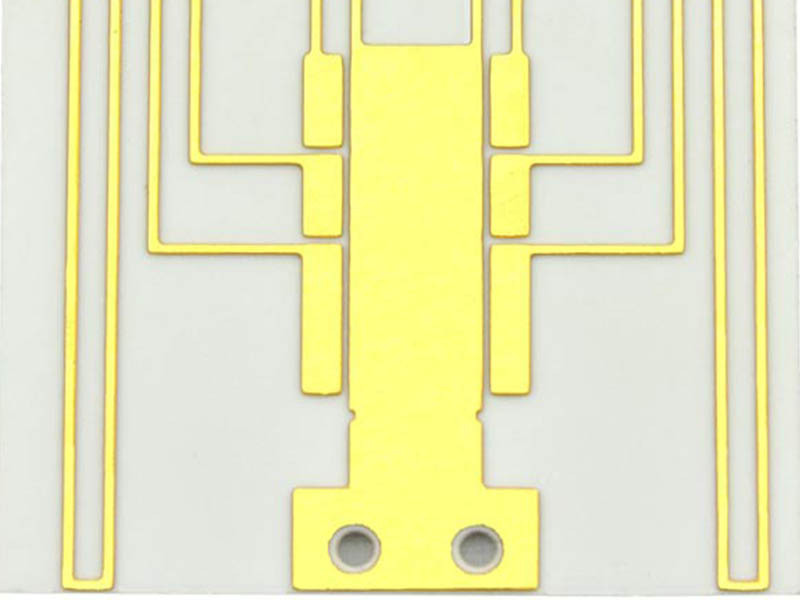 The extra thin printed circuit means the thickness of printed circuit board is thinner than the normal PCB. 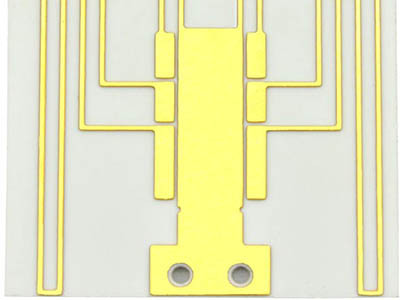 For most of FR4 PCB, min thickness is 0.3mm or 0.4mm, whatever it is 1L or 2L. For 4L, it will be more about 0.6mm. But sometimes, limited to space or margin, or needed by design purpose, people needs extra thin such as 0.25mm, 0.20mm, or even 0.15mm board. 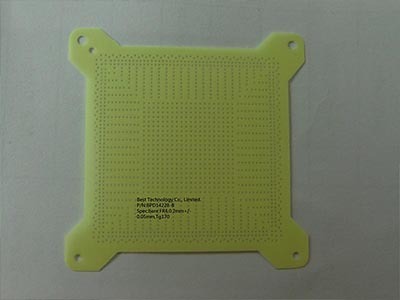 For providing customers with the most suitable products and the most satisfactory services, Best Technology also made the extra thin printed circuit. For this 2L FR4 PCB, we are able to make it to 0.15mm±0.1mm. Then you can use it in SIM card, sensor card and so on. As shown, it can also be rotated 180 degrees. Besides, we are able to provide the extra thin PCB with or without soldermask, and copper thickness for 1/2OZ, 1OZ. It depends on the needs of the customers. 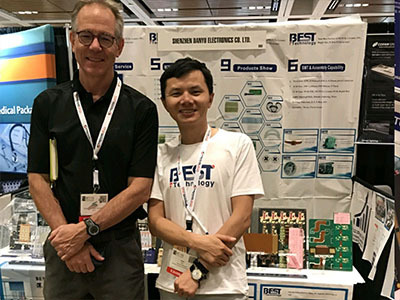 Since established in 2006, Best Technology is always dedicated to provide the most suitable products and the most satisfying service for customers, to be customers’ best partner of PCB and PCBA in China. In order to become the most creditable partner of customers, Best Technology is dedicated to develop the products that can meet the market all the time.The ceramic board has good prospects in the market because of its advantages. To begin with, it has resistance in very high or very low temperature (-55℃-850℃). What’s more, it is good in dissipation and thermal. For providing customers with the most suitable products and the most satisfactory services, Best Technology made a new single side ceramic board currently. It has a layer white solder mask in front and 1.0mm aluminum nitride in the back. Maybe it seems like aluminum substrate from the obverse side, but turning around you can know it is a ceramic board. The most distinctive feature of it is that the pads on the surface are very tiny, and each small pad is combined into a circle just like the earth. 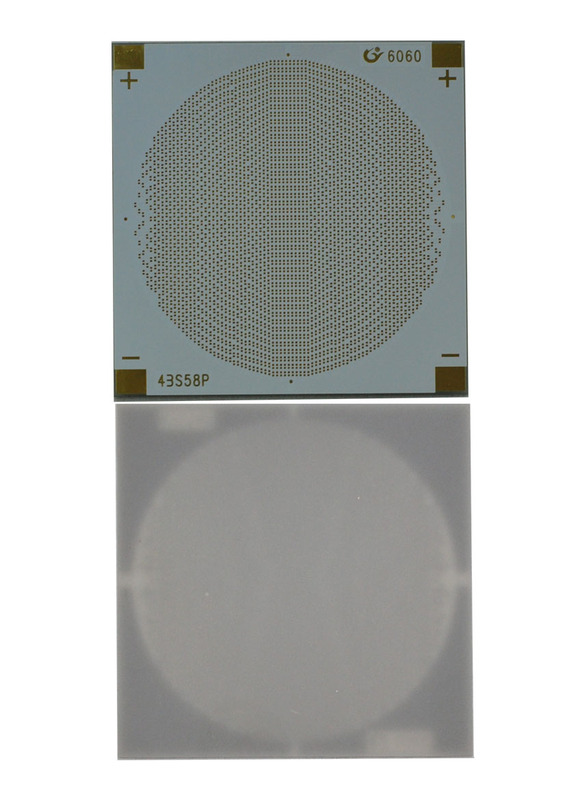 Compared with other ceramic boards, the circuit of it is very small, too. The ceramic board has various advantages, it also can be applied in high power LED, solid state relay, electric power transmitter modules and so on. You are currently browsing the PCB & MCPCB - Best Technology blog archives for September, 2018.